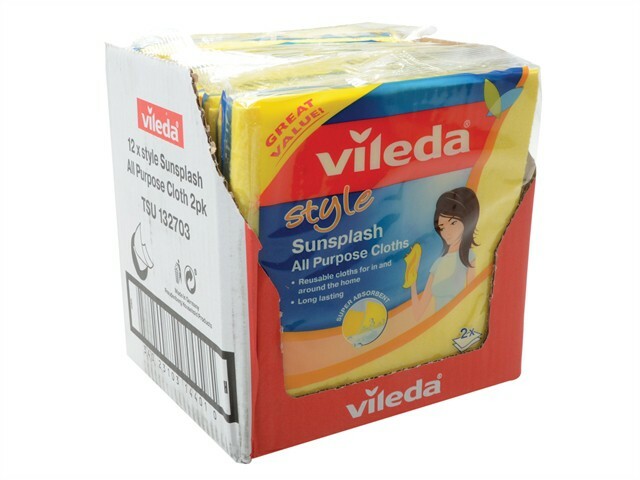 Vileda Style Sunsplash All-Purpose Cloth is made from a special blend of fibres, which provide superior absorbency, extra softness and durability. It is ideal to use wet or dry on all surfaces and is super absorbent, long-lasting and durable and can be washed by hand or machine. Pack of 2 Cloths in a Box of 12 Packs.